Mid Atlantic Heating and Cooling, LLC is a partnership operated directly by its owners. While having established business in 2012, we bring nearly 2 decades of industry experience to the table. All custom ductwork fabrication is carried out by us on site. We even offer a 24 hour emergency service, as well as maintenance contracts. Work with a company who values integrity and honesty, offers very competitive pricing and pays close attention to the details of every task we undertake. We treat your home as if it were our own home. use stable ground temperatures for home heating and cooling. According to the EPA, the geothermal systems can save 40% to 70% on home-heating and 20% to 50% on home-cooling costs over conventional systems. Home heating systems are vital for comfort and warmth during the cold winter months. 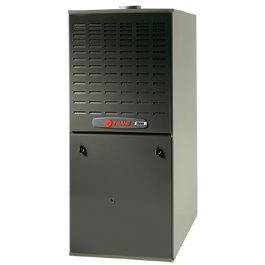 We also carry out HVAC repair and installation and solve air flow issues. We are your premier solution for all your heating systems and associated requirements. The long hot summer will seem unbearable without an air conditioner, or cooling systems that are not functioning as they should. 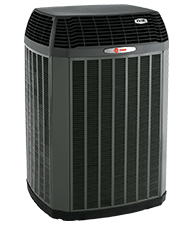 Our very experienced team can help solve air flow issues as well as offering the best in air conditioning service and AC repair. Geothermal services for cooling and heating are another of our specialties, so give us a call at (732) 551-4149 to discuss your options today. We are a company that values honesty and integrity. We treat your home as if it were our very own. with exceptional service and prices! Thank you Ken and Tom for the prompt and courteous service. You have been a dependable and valuable service provider. Friendly and reliable cannot explain the level of customer service. Awesome job. I called this company after finding a good review on Angies List on them. I left a voice mail and Ken called me back in about 15 minutes. He told me he was in my area and would come by today. I was taken back a little, in a good way, since I already called a few other AC contractors and no one could come by or I got a busy signal. One company even gave me an appmt for July 8th, which was six weeks away. We were in the middle of a heat wave and no way could I wait six weeks.Ken and Tom came by and immediately went to work, inspecting my AC unit outside. I had a lot of questions which they answered politely and professionally. After the inspection, they told me that my unit needed a new condenser or a whole new system. I went with the condenser since that worked better for me. They told me that they could order the parts that night and install them the following day. I was absolutely floored they could do this work in one day. I had some questions about payment which was explained to me without any hesitation and I was given two ways that I could make my payment. The next day they came over and I wanted to see exactly what the condenser was so I was watching them do the work for a bit. They said no problem and they would even show me everything they were doing step by step which was nice of them. So I watched for a little while and then satisfied with the work they were doing I just left and went inside. It was another scorcher and they kept working without stopping to take a break. When they were finished they tested the unit and it worked without a hitch. I would definitely recommend this company to anyone that needs heating or cooling work. Mid Atlantic provided outstanding, prompt and professional service with a smile when they recently replaced our homes air-conditioning system and attic fan ventilator. We would highly recommend Mid Atlantic to anyone needing service or new equipment.